Jamie Stark, M.P.T., CYT, YTRX is a physical therapist and certified Kripalu Yoga teacher. Jamie has a Master’s Degree in Physical Therapy, with a major concentration in geriatrics and a minor in spine mobilization. She is also a UCLA graduate, with a Bachelor’s degree in Kinesiology. 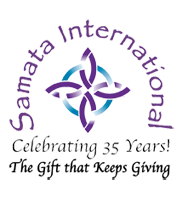 April 2018, Jamie begins a new position, as Senior Manager, International Outreach and Training, at Joni and Friends International Disability Center. Within the outreach program,Wheels for The World, Jamie will develop and train teams of physical and occupational therapists, mechanics and support staff, as they prepare for international travel in less resourced third and second world countries, providing custom fitted wheelchairs to those affected by disabilities. Jamie is the former Director of Rehabilitation at University Village, Oakview in Thousand Oaks, CA, where she lead a team of therapists, caring for the rehabilitation needs of 500+ senior residents in the areas of independent living, assisted living, skilled nursing, and an outpatient clinic. Previously, Jamie served as leader of the Spine Team at Abilities Health and Rehabilitation Center in New York City, and owner of Yoga Home, yoga studio in Westlake Village for ten years. During her extensive years as a physical therapist and as a Yoga teacher, Jamie has developed a unique method of teaching correct posture, body mechanics, and body awareness. She is also a popular keynote speaker. Surendra Mehta, MBA, CYT YTRX trained in India at the Bihar School of Yoga, with Kavi Ji, a direct disciple of Dhirendra Brahmchari and at the Vivekananda Yoga Kendra. He is also a graduate of the Yoga Therapy Rx programs. In 2005 he met Swami Ramdev, has been practicing and teaching his method of Yoga and Pranayam ever since. 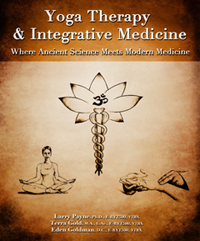 Larry Payne Ph.D. C-IAYT, E-RYT-500, is the founding president of International Association of Yoga Therapists and co-author or “Yoga Therapy & Integrative Medicine”, “Yoga Rx”, and international bestseller “Yoga For Dummies”. 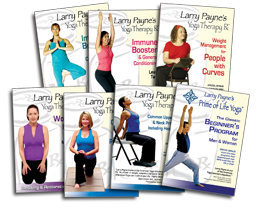 He is featured in both the Yoga Therapy Rx™ and Prime of Life Yoga® DVD series. The Los Angeles Times named Larry “one of America’s most respected Yoga teachers.” He is also co-founder of the Yoga curriculum at the UCLA School of Medicine, and director of the Yoga Therapy Rx program at Loyola Marymount University. Larry was a direct student of T.K.V. Desikachar, and has been inspired by his work since 1980. Kathleen Ross-Allee, C-IAYT, YTRX 500-C, RYT-500, ACE-Personal Trainer is a certified Yoga therapist and fitness trainer with more than 25 years of experience as a health and wellness expert. She is currently the Managing Director of the LMU Yoga Therapy Rx programs, and the Associate Director of the YTRx Level IV Internship program at the Venice Family Clinic. Kathleen is a graduate of the Yoga Therapy Rx Program at Loyola Marymount Unversity, a Level 1 YCat graduate, and was a YCat Level 2 mentorship student under the late Jnani Chapman. Norman Solomon, M.D. is a board certified internist and the medical director at the Motion Picture and Television Fund in Los Angeles. He has 30 years of experience in all aspects of internal medicine and is a graduate of Mount Sinai School Of Medicine at New York University. He was also a medical school classmate of Richard Usatine M.D. the associate director of our Yoga Therapy Rx level II program. Eleni Tsikrikas is a Clinical Ayurvedic Specialist, CAS, and Pancha Karma Specialist PKS. She runs a private ayurvedic practice and teaches “Ayurvedic Skills for Living” courses in Silverlake. She is a faculty member at California College of Ayurveda, where she teaches and mentors students. Eleni has completed the educational component leading to qualifications as a Western Herbalist. She is presently working on the accreditation process for the American Herbalist Guild. 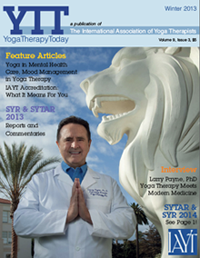 Fancy Fechser is the Associate Academic Dean of the Yoga Therapy Rx program. After graduating from Pitzer College, she completed Yoga Therapy Rx Levels I, II, and III and became a licensed Massage Therapist through the California Healing Arts College. She has assisted in teaching a course on Yoga Therapy at UCLA Medical School with Michael Sinel M.D. and also sits on the Advisory Board for The White Lotus Foundation founded by Ganga White and Tracey Rich. Fancy is committed to supporting the growth of Yoga Therapy as a complementary healing modality through research and education, and as such, is currently pursuing her Masters degree in Yoga Studies at Loyola Marymount University. Michael Sinel MD –Dr. Sinel’s contributions, accomplishments, charity work, and board memberships are on his website at www.michaelsinel.net .